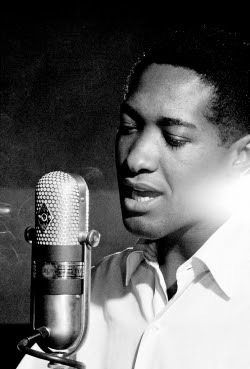 Sam Cooke would've been 76 years old today. It's hard to imagine. This is a sweet recording, one of his last releases on Specialty, and came out concurrently with his first Keen single "You Send Me". The band features Rene Hall on guitar, and the great Earl Palmer on drums. 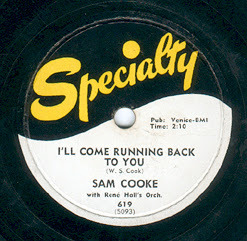 My favourite Sam Cooke song. Good call. I've been enjoying your whole site for the last couple of days, having wandered in via the good Rev Frost.